The mid-term elections will occur on November 6, so the makeup of Congress will be set when we meet in New York. While the Republicans currently control both houses of the U.S. Congress, the implications for the Trump Administration and its policies will be significantly impacted if either the U.S. House of Representatives or the U.S. Senate switch to a majority of Democrats. Speaker: William J. Palatucci, Special Counsel, Gibbons P.C. 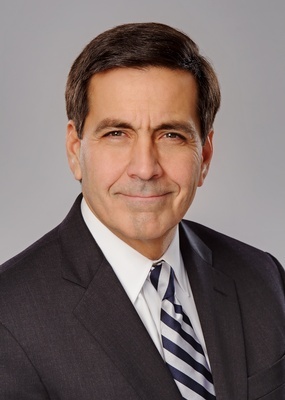 Bill Palatucci is one of the region's most prominent and widely respected attorneys, with a reputation for strategic planning and advice regarding complex public policy and communications initiatives. Most recently, following the Republican National Convention through Election Day, Mr. Palatucci served as General Counsel to the Presidential Transition Committee of President Donald J. Trump. In this role, he was responsible for all legal matters related to ethics compliance and contracts and agreements between such agencies as the U.S. Department of Justice, General Services Administration, and the White House. Mr. Palatucci coordinated extensively with internal and external members assisting the transition, providing all necessary legal advice and guidance to facilitate the Transition Committee's interactions with the Trump-Pence campaign, federal departments and agencies, local, state, and federal officials, think tanks, outside experts and consultants, and various other entities and individuals with whom the Transition Committee engaged with during the pre-Election Day time period. At Gibbons, Mr. Palatucci serves as Special Counsel in the firm?s Corporate Department, where he handles a variety of corporate transactions for clients in a wide range of industries, often focusing on the regulatory aspects of those transactions. If you are interested in attending the event, please write us an email.